1. Complete the Online Non-Immigrant Visa Application, Form D-160. 2. Pay the visa application fee of $190. Although fees are listed in U.S. dollars, payment must be made using local currency. 3. Schedule your interview with the U.S. Consulate General in Chennai, India. You may schedule your interview at any U.S. Embassy or Consulate, but be aware that it may be difficult to qualify for a visa outside of your place of permanent residence. In general, you must schedule an appointment for your visa interview at the U.S. Embassy or Consulate in the country where you live. You will need to provide the receipt number that is printed on your approved Petition for a Nonimmigrant Worker, Form I-129, or Notice of Action, Form I-797, to schedule an interview. Callers in India: Call +91 120 4844644 or +91 40 46258222. Callers in the United States: Call +1 703 520 2239. The approximate appointment wait time is 7 calendar days (as of November 5, 2015). 4. Sit down with our team to prepare for your visa interview. We, at Davies and Associates, are ideally positioned to assist you in your preparation for the interview though our location in India. We can answer all your questions about the interview process, give you valuable tips and do mock interviews. For over fifteen years, we have worked with your fellow Indian nationals and gained deep understanding of your needs and culture. We narrowly tailor our services to meet your needs and produce the very best immigration solutions possible. While there can be no guarantees, none of the visa applications we have prepared has ever been denied given our personalized approach and close interaction with our clients. 5. Attend your visa interview and bring all required documentation. Evidence of tenure with the petitioning company. The Embassy will not accept documents received directly from the company by mail or fax. All L Visa applicants must bring one extra photocopy of any original documents they presented with their application package that they wish to be returned. 6. After your visa interview, you will be informed how your passport with visa will be returned to you. The approximate processing time is 2 work days (as of November 5, 2015). In some cases, the consular officer will inform you if further administrative processing is necessary for your application. *All Blanket L Visas are processed at the U.S. Consulate General in Chennai. The U.S. Consulate General in Chennai is the sole acceptance center in India for all applications for intra-company transfers under the blanket L category as of December 1, 2011. 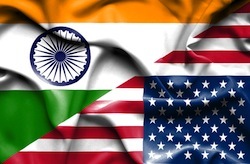 The U.S. Embassy in New Delhi and U.S. Consulates in Mumbai, Kolkata and Hyderabad no longer accept or process applications for this visa category. The blanket L category includes specialized knowledge professionals, executives and managers. All other visa processing procedures remain unchanged. Please note that spouse and children visas (L2) and individual L visas (L1B and L1A individuals) may be processed at all posts in India-Chennai, Hyderabad, Kolkata, Mumbai, and New Delhi.